Ati Motors was adjudged the winner of the showcase session. 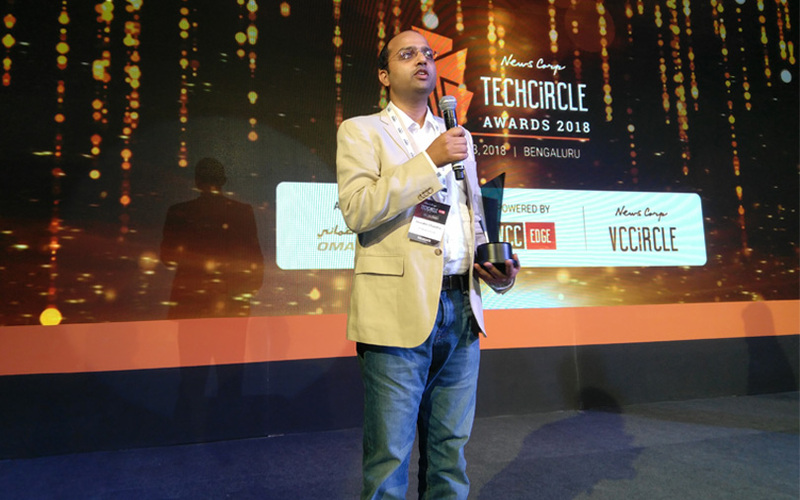 The 2018 edition of TechCircleLive saw entrepreneurs and investors gather in Bengaluru to decode how technology is changing the way businesses are run in areas as wide-ranging as healthcare, financial services, consumer services, agriculture, education, enterprise sector, energy, aerospace and much more. As part of the event, TechCircle organised a showcase session, where selected startups presented their product and service to a panel of jurists, for feedback and mentoring. Three startups were shortlisted from a list of 22 applications. Shripati Acharya, co-founder and managing partner at Prime Venture Partners; Samir Kumar, managing director, Inventus Capital Partners; Manish Singhal, founding partner, Pi Ventures; Payal Shah, partner and head of investments at Axilor Ventures and Jaideep Mehta, CEO, News Corp VCCircle then picked Ati Motors as the winner. Ati Motors: Founded in 2017, this startup designs autonomous electric cargo vehicles, initially targeted at private ports, airports, campuses and large industries in the logistics and automotive sectors. The startup has created an early prototype vehicle and is working on the next version. It is seeking capital to shift from prototype to production. The startup will pilot the vehicle in Bengaluru and is aiming at field tests by end of 2018. However, it claims that the product will have global applicability. Ati Motors was established by Dr V Vinay, a former professor of computer science at the Indian Institute of Science, an early co-inventor of the Simputer (the Linux-based handheld computer), and was also a co-founder of Strand Life Sciences; Saurabh Chandra, co-founder of IT services firm Neev Technologies, which was acquired by the Publicis Groupe in 2013; and Saad Nasser, a 16-year-old school dropout and engineering prodigy, who has won multiple national and international engineering competitions including the Intel Iris and the Broadcom masters. Ati Motors has raised pre-Series A funds from friends and family via Tamarind Innovation Venture. IndieFolio: This Mumbai-based startup provides creative professionals, including designers and creators, a single platform to network with one another, jobs, event updates and more. The startup was founded in 2015 by Kavan Antani and Shashank Jogani, who are both graduates from Mumbai’s HR College of Commerce. It has Rs 2 crore in angel funds from a clutch of individual investors. The startup claims to be generating revenue and has about 90 paying customers. As part of its expansion plans, the startup will launch premium products for designers to customise their portfolios and manage their clients, and will also introduce self-learning courses for them. SmartServ: According to the startup, most service or contract businesses operate with a single assistant at the office who guides technicians about daily jobs and other administration services and processes, and up selling and cross selling opportunities. SmartServ aims to automate this process via an artificial intelligence-powered personal assistant called LISA. The assistant will have a mobile-first customer relationship management system for non-desk workers with an initial focus on field technicians. The startup was founded in 2016 by Arnav Anand (chief executive), Ankit Pal, Sumit Mukhija, Shubham Kesarwani, Srinivasan Kannan, Abin Roy Choudhury, and Archana Dhavale. It has raised pre-Series A funds from friends and family and claims to be generating revenue. Till date, the startup has 32 paying customers and claims to have grown 300% last year based on sales referrals. It plans to grow at the rate of 50% per quarter.